Lychee, botanically called Litchichinensis, is a sweet-tasting fruit with a slightly acidic fragrance that belongs to the soapberry family. It grows on medium-sized, slow-growing, evergreen trees that can reach a height of 100 feet. The lychee fruit is pale red or orange and has a strong, rough outer skin that can be peeled easily. The fruit contains white, edible flesh and a large inedible seed. The lychee fruit originated in the Kwangtung and Fukien provinces of southern China. In Chinese, lychee means “gift for a joyful life.” It was first mentioned in Chinese literature around 1059 A.D. They thrive in warm, humid climates. Currently, they are produced all over the world. 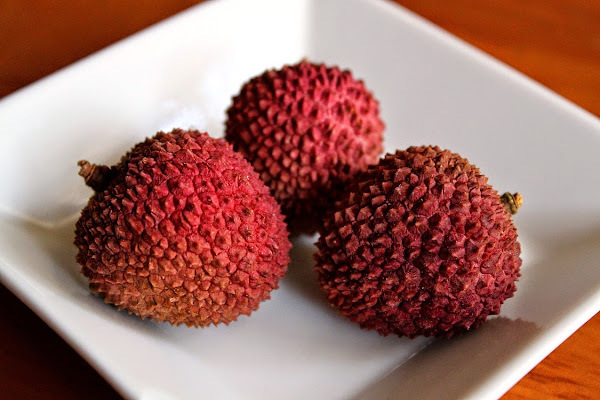 Lychees were used as medicine in ancient China. Researchers have proved that the consumption of lychees can provide relief from abdominal pain and cough, and can decrease tumors and swollen glands. The seeds of the lychee fruit are beneficial in nerve pain and testicular inflammation. Lychee peelings, when concocted into a tea, are said to cure diarrhea and smallpox. The bark, root, and flowers can be used as a gargle to cure sore throat. The seed is powdered and made into tea to treat stomach issues in India. Lychees have several health benefits and should be included in your daily regimen. One cup of lychee contains approximately 126 calories, 1 gram of protein and fat, and 2.5 grams of dietary fiber. It has a high natural sugar content of 28 grams. Dried lychee has a much higher concentration of sugar and calories. Half a cup of dried lychee has 263 calories, 3.6 grams of protein, 4.4 grams of fiber, and 63 grams of natural sugar. Lychees contain a substance called oligonol which is a polyphenol with a low molecular weight. It has anti-oxidant and anti-influenza properties. Oligonol also helps reduce weight, protects the skin from the sun’s ultra violet rays, and improves blood circulation. Researchers at the Chinese Academy of Sciences in Guangzhou, China published a study in 2010 in the Journal of Agriculture and Food Chemistry. They reported that lychee contains proanthocyanidins that are more potent than vitamin C. Additionally; they discovered the existence of a compound called litchitannin A2 that exhibited antiviral properties against herpes simplex virus and Coxsackie virus. Research studies conducted on the effects of lychee extracts on cell lines of colorectal cancer have shown that it can significantly increase the rate of colorectal cancer cell death. It can also stop the cell cycle of cancer cells, thus retarding their growth. Potentially, lychee could prevent the spread of colorectal cancer. The Zhejiang Gonshang University and the West China Hospital at Sichuan University in China have conducted studies on the inhibitory effect of lychee extracts on breast cancer cells. In addition, lychee extracts have been shown to curb the growth of liver cancer cells by promoting the death of these cells. Lychees contain 71.5 milligrams of vitamin C per 100grams of the fruit serving. This rich amount of vitamin C makes up 119% of the recommended dietary allowance of vitamin C. It helps the body build resistance to infectious diseases and fights inflammatory agents. Also, it protects against common cold, cough, and hay fever. Lychee contains a high level of copper which is required for the production of red blood cells and the prevention of anemia. The fruit is also rich in folate, a vitamin important for the formation of red blood cells. The proper amount of folate is necessary to prevent birth defects. According to the Centers for Disease Control and Prevention, women in the child-bearing age group should take 400 micrograms of folate every day. A cupof lychee contains 27 micrograms of folate. Thiamin, niacin, and folate are required as co-factors for the metabolism of carbohydrates, fats, and proteins. Lychee is rich in these B-complex vitamins. A serving of lychee fruit provides several B-vitamins like vitamin B6, niacin, thiamin, riboflavin, and folate, as well as potassium. These nutrients prevent strokes and heart disease. They control the heart rate as well. Lychees are a rich source of potassium which is required along with to maintain an optimum balance of water in the body. Potassium helps contract muscles and regulates blood pressure. According to the American Heart Association, potassium works by reducing the tension in the walls of blood vessels and helping the body get rid of extra sodium. A cup of lychee has 324 milligrams of potassium, which is less than 10 percent of the recommended daily intake (4,700 milligrams). However, half a cupof dried lychee has 1,054 milligrams of potassium. This forms one-third of the daily allowance. Drying the fruit removes all the water and concentrates the nutrients to give more per gram of fruit. Due to the high fiber content of lychees, they help regularize bowel movements and maintain one’s weight. 100 grams of chopped lychee contain 1 gram of dietary fiber. Lychee is packed with nutrients but it may not be suitable people suffering from diabetes or those on a diet with a fixed number of calories due to its high natural sugar content. Since it contains high amounts of fructose that can harm your body in excess, it should be eaten in moderate servings. Allergies have also been reported with lychee consumption. Lychees can be eaten fresh and raw or can be served in fruit salads or as salad dressings. They are used in jams, jellies, sauces, syrups, and sorbets. They can also be juiced to make a refreshing summer drink. Stuffed lychees are popularly eaten with cream cheese and nuts. Lychees are also dried and eaten. They look like raisins and last for almost a year. Thank you for reading Know the Health Benefits of Adding Lychee in Your Daily Regimen posted on the website Kwentology if you want to redistribute this article please include the link as the source. Have some kuwento to share? Contact us!